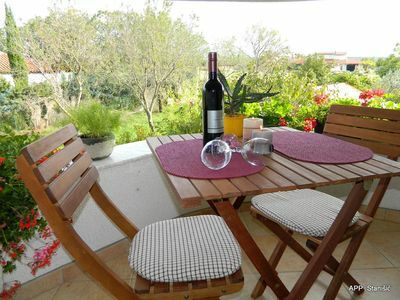 These lovely apartmens are located in a nice little town of Fažana in Istria, only 800 m from the nearest beaches. 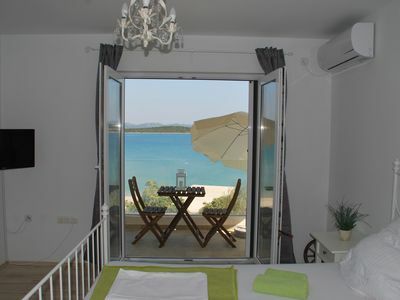 The apartments offer accommodation for 2 - 4 persons and each app has his own parking place, terrace or balcony. Guests can use the 24 hours internet. The apartments are great for spending relaxing holidays. Apartments are very similar, each with one bedroom and one extra bed in the living room or in the kitchen. Some apartment are on the ground floor and other are on the first floor. Apartments are equipped with a bathroom with shower, kitchen, dining room and balcony, satellite TV and Wi-Fi. Apartments have air conditioning and parking is provided on site. A pizzeria is 500 metres away and a grocery shop is 700 metres from the property. A restaurant serving traditional and international dishes, as well as the nearest bar, are located 500 metres away. 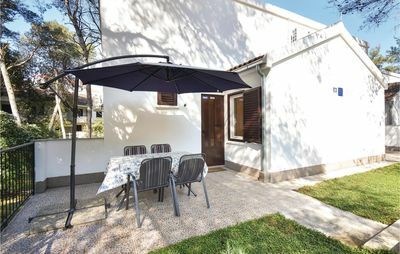 The local bus line from Fažana will take you to the Pula town center.Fažana is located in the southwestern part of the western coast of Istria in the Fažana channel. It is the starting port when traveling to the Brijuni Islands - a National Park with attributes of heaven. 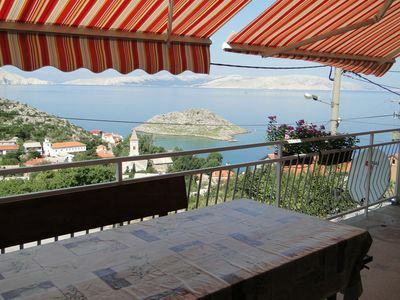 Fažana is also called the pearl of the west coast of the largest Croatian peninsula. The local population has always been fishing and farming. It has also been a meeting place and a battle ground of great nations, such as the Romans, Byzantines, Venetians, and military and civilian authorities of the Austro-Hungarian Empire. The first time Josip Broz Tito (a revolutionary and a former president of Yugoslavia) visited the Briuni archipelago he departed from Fažana. The charm of this old town is created by old squares and houses lined next to each other. Visit the parish church of St. Cosmas and Damian, located in the old center of the town, the church of St. Mary of Mount Carmel, the church of St. Elisha, St. John’s church and many other cultural monuments depicting the heritage of Fažana. In the port and on the promenade there are many summer festivities, the oldest and most famous of which is the “Party of Mackerel” (fish case carrying contests, rope tugs, rowing, etc. ), as well as the “Fažanski tanac” (a festival of young folklore dancers from Istria), “Sea on the Table” (a seafood festivity where you can taste differed seafood specialties), “Zvizde, svice I ferali”(a festivity in which Fažana gives its jewels to the sea, complete with the music of street players and soloists), as well as many others. 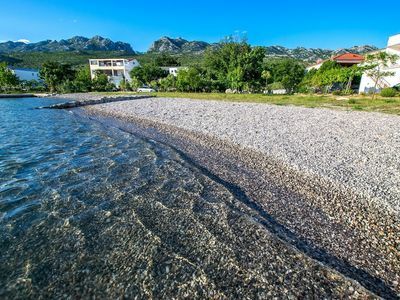 The beaches in Fažana are covered mainly with pebbles and concrete and the city also has a “Children’s beach” which has shallow access to the sea.